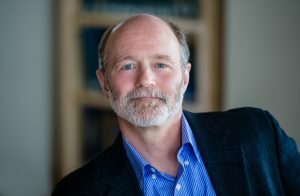 BAR HARBOR — Kevin Strange, Ph.D., president of the MDI Biological Laboratory, will give a lecture on a natural compound that may stimulate a damaged heart to repair itself. The lecture, “Unlocking Our Regenerative Power: Nature’s Regeneration Drug,” is set for Wednesday, July 18, at 5 p.m. at the institution’s Maine Center for Biomedical Innovation. Every 40 seconds, someone in the United States has a heart attack. For decades, scientists have been defeated in their attempts to find a treatment that reverses the disabling and potentially life-threatening damage caused by heart attacks Strange said. Now, according to Strange, scientists at Novo Biosciences, a spinoff of the MDI Biological Laboratory, have identified the first and only drug candidate that stimulates a damaged heart to repair itself. Strange is the co-inventor, together with Voot P. Yin, Ph.D., a member of the faculty at the MDI Biological Laboratory, and Michael Zasloff, M.D., Ph.D., of Georgetown University, of MSI-1436, a natural compound that has, according to Strange, been demonstrated in laboratory animals to stimulate regeneration of heart muscle tissue after a heart attack and to slow the degenerative changes in skeletal and heart muscle associated with Duchenne muscular dystrophy. The inventors believe the compound could have a wide range of applications in regenerative medicine. MSI-1436 appears to “release the brakes” on the body’s natural ability to regenerate lost or damaged tissue, Strange said. their ultimate goal is to use the knowledge gleaned from these animals to develop therapies that activate the dormant genetic signals for regeneration in humans. Strange will discuss the team’s journey of discovery, from Zasloff’s isolation of MSI-1436 from dogfish sharks in 1991, to his hunch that the compound might play a role in the miraculous abilities of dolphins to heal shark attack wounds, and to the testing of the molecule in zebrafish and mice injury and disease models by Yin and Strange. Strange is the CEO and cofounder of Novo Biosciences, a for-profit firm, which was formed to advance MSI-1436 into human clinical trials. He will step down as president of the MDI Biological Laboratory in July after nine years to pursue this goal. MSI1436 is now being tested in a pig heart attack model by Yin, who is the co-founder and chief scientific officer of Novo Biosciences. If the tests of MSI-1436 in pigs are successful, Novo Biosciences will seek approval from the Food and Drug Administration to move ahead with human clinical trials of the compound in heart attack patients said Strange. Kevin Strange, Ph.D., president of the MDI Biological Laboratory, will give a lecture on a natural compound that may stimulate a damaged heart to repair itself Wednesday, July 18, at 5 p.m. at the institution’s Maine Center for Biomedical Innovation.